In 'A Strange and Wild Place', Sandra MacPherson recorded her extraordinary life as a Highland chieftain's wife on Glentruim estate, weaving her own story with tales of infamous Macphersons of old. 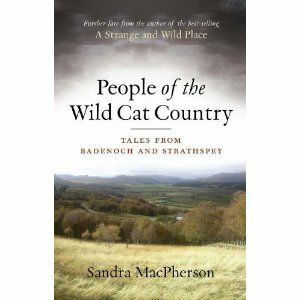 In her latest book, she broadens her horizons to include the whole of Badenoch and Strathspey, introducing a multitude of old and new tales from the area, as well as providing more personal recollections of her experiences there. In addition to stories featuring members of her own MacPherson clan, she also includes tales of love, battle, adventure, intrigue, danger and dark secrets, as well as chilling accounts of witchcraft, the supernatural and the unexplained. Together, these stories paint a vivid picture of this very special corner of the Highlands - not only of its richly varied landscape made up of farmland, forest and stark, imposing mountains, but also of the people who have lived and loved there through the centuries.